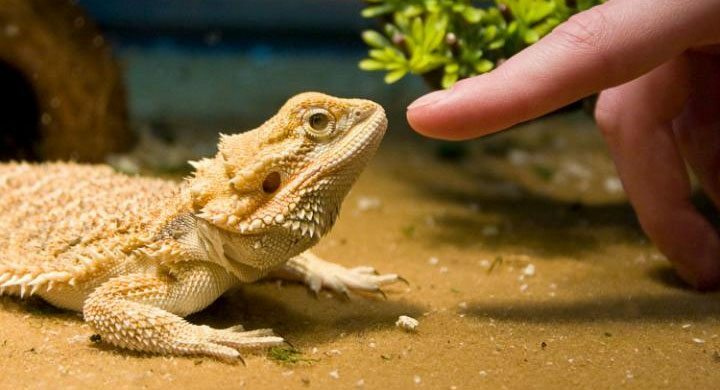 Read our bearded dragon setup guide to find out everything you need to create the perfect home for your bearded dragon. 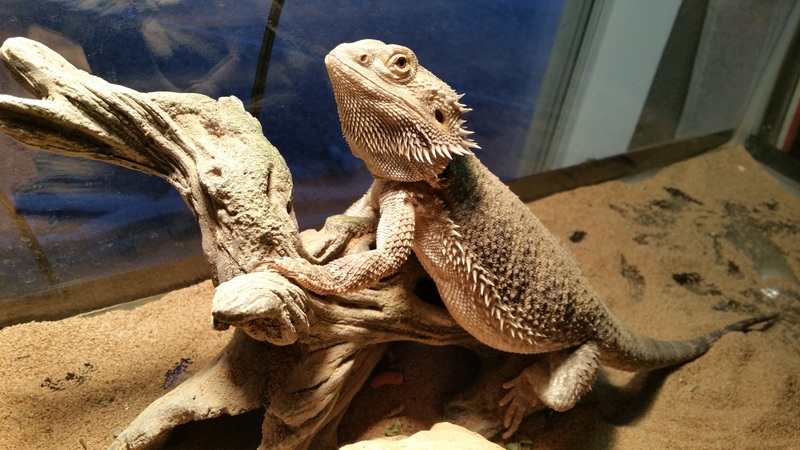 From heating and lighting to what size and type of vivarium to choose, we have every aspect of bearded dragon care covered. 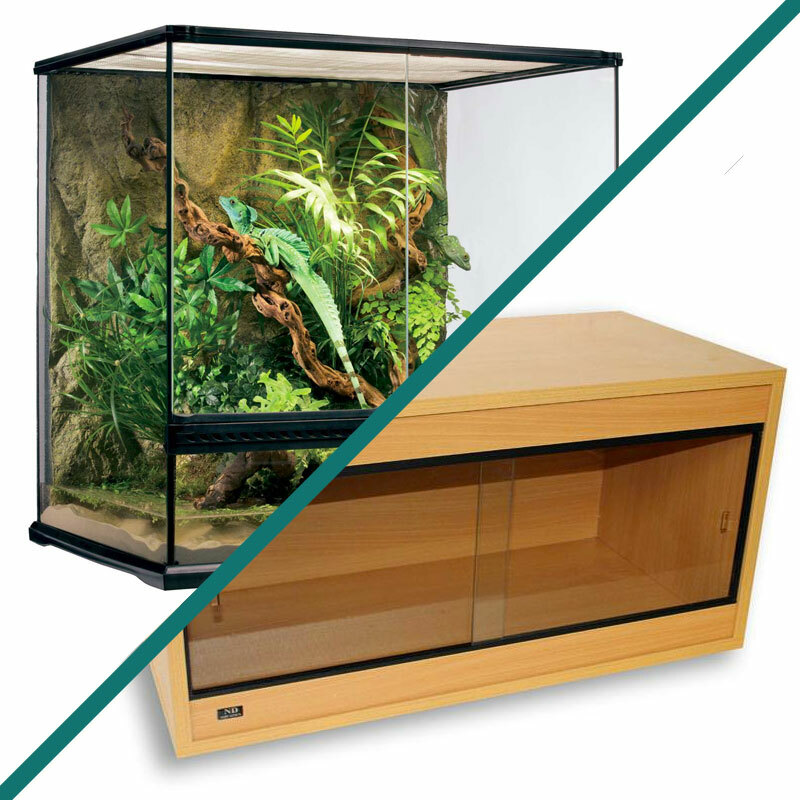 The first thing you need to do when you’re setting up your bearded dragon vivarium is choose a tank and for bearded dragons there are two different materials to choose from – wood and glass. 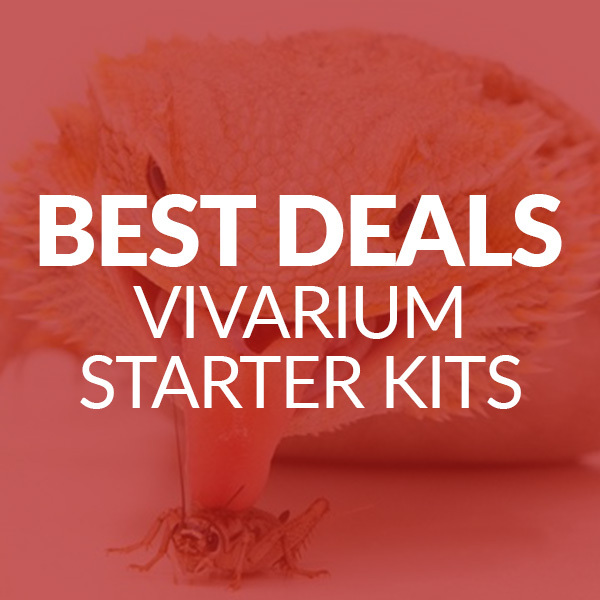 Find out more about each type of vivarium below. The first step of setting up a home for your crested gecko is choosing the right type of vivarium. And first things first, you should choose the right material. We’d recommend a glass vivarium for crested gecko as glass keeps the humidity but lets out excess heat. Glass vivariums are readily available online on sites like Amazon. Crested geckos are cold-blooded creatures, so they rely on the temperature of their living environment to regulate their body temperature. This means the tank needs to be large enough to create a temperature gradient (a hot end and a cool end of the tank) so that the crested gecko can move to the hot end to warm itself up or the cold end to cool itself down. We’d recommend a 30cm x 30cm x 45cm vivarium for an crested gecko (12 inches x 12 inches x 18 inches) and there are plenty of suitable ones to choose from on Amazon. However, if you’re housing more than one crested gecko in the same tank, you’ll need to invest in a larger one (maybe even a vivarium stack like this). Remember that male geckos should never be housed together as they have a tendency to fight but it’s fine to house females or a male and a female together. Baby crested geckos can be kept in a smaller tank than adult geckos – a 10 inch plastic terrarium will be the perfect home until your baby gecko is about 4 months old and can be moved to a larger tank. Just like leopard geckos, crested geckos require heating because they’re cold-blooded and use their environment to control their body temperature. Read these guidelines to find out what temperature your crested gecko tank should be. 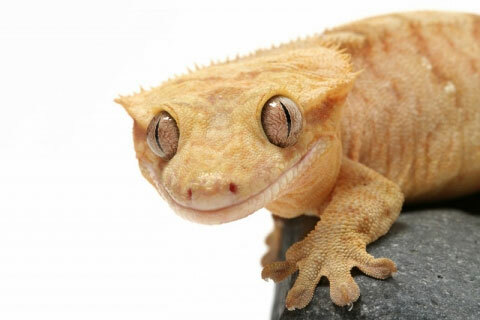 Crested geckos come from a tropical environment and need a warm temperature inside their tank. But you should be careful that it doesn’t get too hot; excessive heat can cause distress and ill health. During the day your crested gecko vivarium should be between 22 and 27℃. If the temperature inside your tank gets higher than 29℃, your crested gecko will become stressed, which could lead to illness or death. Crested geckos still need some heat at night, but the temperature can be turned down to 18-21℃. A bigger temperature drop than this isn’t necessary for a crested gecko. The humidity inside your crested gecko tank should be around 50%. 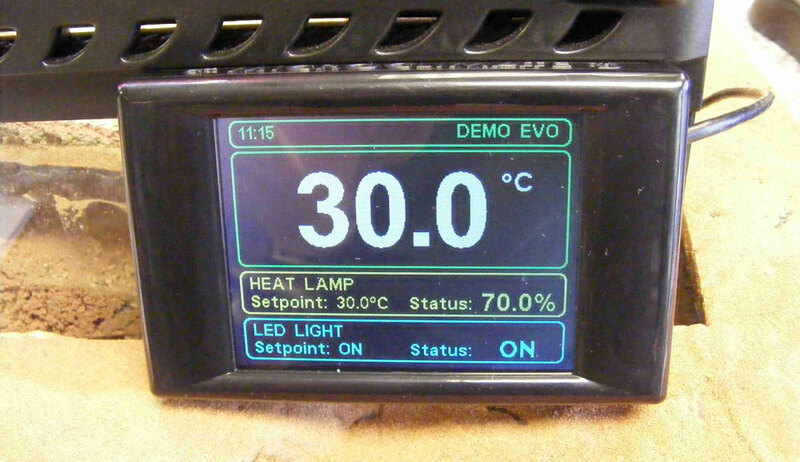 You can monitor the humidity levels using a hygrometer like this. If the humidity gets too high, increase the airflow to the tank and put a smaller water dish in it. 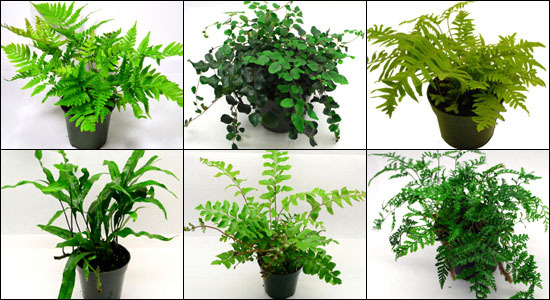 If the humidity gets too low, add a larger water dish. Lighting is an important part of your crested gecko vivarium setup and it’s vital that your vivarium lighting mimics the light patterns that your gecko would be used to in its natural environment. For most of the year, crested geckos should have 12-14 hours of daylight and 10-12 hours of darkness. They don’t need any kind of special lighting (UVB lights are unnecessary for crested geckos). Fluorescent lights like these will be absolutely fine. Top tip: Put your vivarium lights on a timer so you don’t have to remember to turn them on and off at the right time (you can get one here). Crested geckos are nocturnal and will sleep for most of the day, but you should still try to mimic the natural light cycle they’d be used to in the wild. Don’t rely on natural light to light your tank; this cycle will most likely be different to your gecko’s natural environment. We’d recommend using a basking lamp to provide to the light your leopard gecko needs during the day; your pet won’t need to bask under it like other reptiles but a lamp like this will help provide the right light cycle they need to maintain their body clock. Crested geckos are nocturnal and will be most active during the night, so don’t use any bright lights during this time. If you have trouble maintaining the right temperature inside your tank at night, use an infrared lamp like this to provide heat rather than a basking lamp. That way you’ll provide your leopard gecko with the heat it needs without disturbing its light cycle. Substrate is an important part of your crested gecko vivarium setup for various reasons – primarily that it helps control odours and makes it easier to clean up. However, you should be careful when choosing the right substrate for your crested gecko because particulate substrates (like sand, for example) put your gecko at risk of impaction – a dangerous condition where substances that are hard to digest get stuck in the gut. The easiest and safest substrate for a crested gecko is paper towels. They’re non-particulate so you don’t have to worry about your gecko ingesting them and they’re quick and easy to dispose of. Naturalistic soils mixes can also be used (you’ll find some good advice about this here).